I have a one-year old Norwegian Forest cat called Daisy (see above) who likes to chew on cables. While she will occasionally have a go at thick cables, her preference is to gnaw on thinner ones. 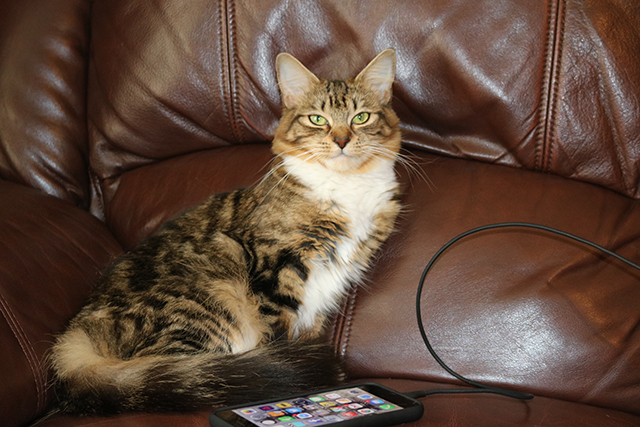 To date she has managed to destroy three microUSB charging cables, three Lightning cables, and two headphone cables. She’s very good at finding and biting through cables no matter how well hidden they are. UNBREAKcable, from Syncwire, is a charging cable with a lifetime warranty -- if it breaks or malfunctions, the company will replace it for you free of charge. That sounds promising, but is it Daisy proof? The UNBREAKcable cable is 1m (3.3ft) long, thick, smooth, very flexible, and it feels very well made. The interior wires are wrapped to provide additional protection, and the stress points have been reinforced so they won’t break when you bend them (the maker says it has been verified to be able to withstand at least 30,000 cycles of 90-degree bend tests). Syncwire does sell an ultra-durable nylon braided cable, but the one I received to test is made from a proprietary hybrid of ultra-high molecular weight polyethylene that is claimed to be 40 percent stronger than Kevlar -- the material used in body armor. I’ve been using the UNBREAKcable for a couple of weeks now, with the cable out in full view. I haven’t actually seen Daisy chewing on it (she knows not to do so when we’re around) but there are clear teeth marks all along the cable where she’s had a go at it. Some look fairly deep, but she hasn’t, as of yet at least, managed to break through to the inner wires. It’s working as well as it did when new. As far as just being a regular cable goes, I’m impressed with it. 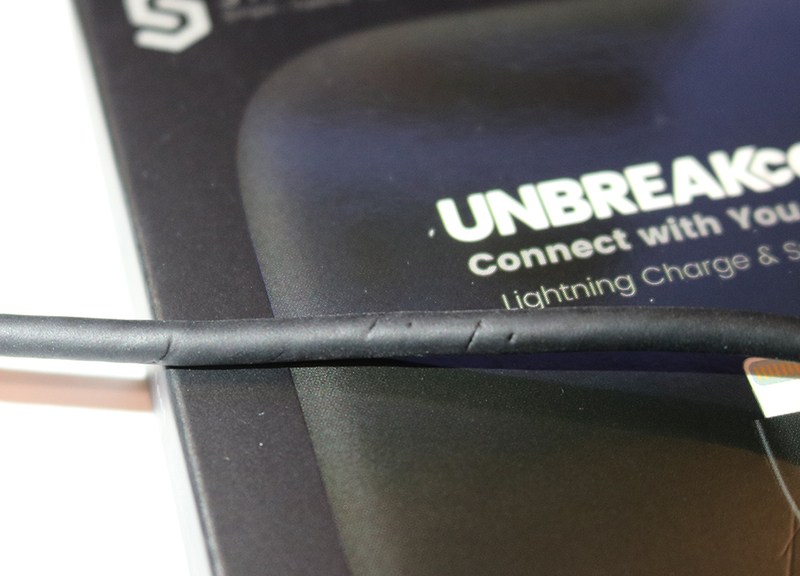 The UNBREAKcable definitely feels of a much higher quality than most, and if it can withstand Daisy then it will probably survive the majority of other hazards (I've been bending and pulling on the cable regularly for good measure). The UNBREAKcable isn’t only about durability though. It’s compatible with Quick Charge, so can deliver a maximum 2.4A charge for iPad Pro, and 1A for iPhone. The UNBREAKcable I have currently retails for a very reasonable $9.99 (usually $16.99) from Syncwire and if you enter the code UNBREAKcable at checkout, you’ll get an additional 20 percent off, bringing the price down to $8. Shoppers in the UK can get the UNBREAKcable Lightning cable on Amazon. Use the code SYNCWIRE for 10 percent off. UNBREAKcable is available for Lightning, Micro-USB, Type-C, Aux, and Ethernet, and I’d highly recommend it.